Machine Minions: level 150/HP=50000/defensless! Power almost none. 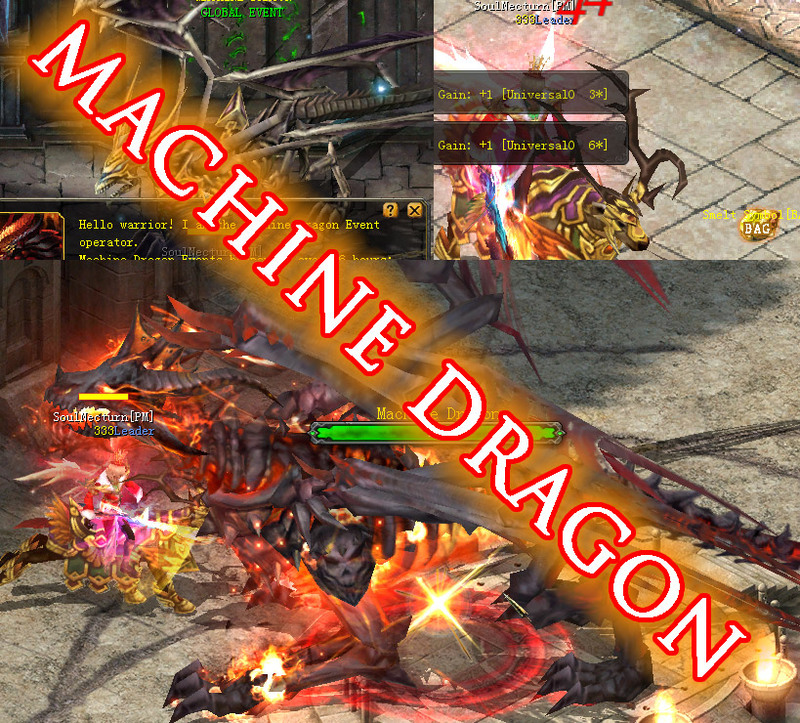 Machine Bone Dragon: level 150/HP=150000/GoodDef. Power almost none. Machine Dragon: level 150/HP=500000/HighDef. Power almost none. All monsters are able to Hit Fast – so be careful to not stand to long around many mobs! IMPORTANT: Drop chance rise depending if map is PKable or Not Pkable (as well VIP maps has “slighly” better gain – still difference might be not visible sometimes ;)). All VIP7+ players when hunting at VIP7+ event maps will be obtaining additionally Composer Shards into bag! Event is focused on providing HIGH gains! Yes HIGH! Currently NO PKable maps exist – but if players using multiple accounts appear- such maps can dissapear! If players will be spotted that hunt on multiple accounts at this event – will be taken as autoers which wont be tolerable. So please avoid trying doing this. Still if problem appear and persist – additonal anty cheating security will have to be added (for now giving chance for nicer playing without!). 0 Comments ON " MACHINE DRAGON EVENT 2.0 "